Loch Lomond Group is preparing to make its duty free debut with the launch of two exclusive travel retail Glen Scotia Scotch whiskies. 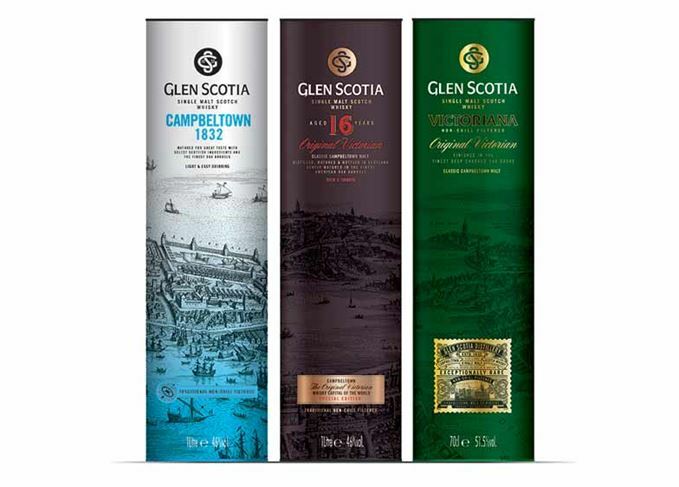 The two new variants – Glen Scotia Campbeltown 1832, designed to celebrate the founding date of the distillery, and Glen Scotia 16-year-old – will be available in travel retail stores around the world from early 2017. Glen Scotia Campbeltown 1832 has been matured in American oak casks before being transferred to Pedro Ximénez (PX) Sherry casks, while the 16-year-old has been aged in American oak casks before finishing in oloroso Sherry casks. Both have been bottled at 46% abv and are non-chill-filtered. The new releases will form part of the group’s core global travel retail collection, also including five existing expressions: Glen Scotia Victoriana single malt, Loch Lomond Single Grain, Loch Lomond Blended Signature, Loch Lomond 12-year-old single malt and Loch Lomond Inchmurrin Madeira Cask Finish single malt. Each whisky will be available in one-litre formats with the exception of Glen Scotia Victoriana, which will be packaged in 700ml bottles. Recommended selling prices will range from £27 to £75. Glen Scotia is one of just three distilleries in the Campbeltown region of Scotland, and has received ‘significant’ investment from Loch Lomond Group to increase production, warehousing and to build a new shop and tasting room at the site. The group has grown its global presence to more than 90 countries and officially launched in the US in February 2016. Loch Lomond Group’s blended whisky loss sparks official environmental investigation. A 1-2-3 of malts from Loch Lomond Group: three Glen Scotias, two Inchmurrins and a Loch Lomond. Twelve Scotch whiskies from Loch Lomond Distillers are to go on sale in the US for the first time.